Nice airport has a long history with the original aerodrome established in 1929 and is no France's second most busy airport. 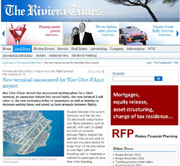 The airport is located on the west side of Nice by the sea. There are spectacular views for landing and take off. There are two parallel runways. The aircraft take off from the outer runway (south runway) closer to the sea and land on the inner runway (north runway). The south runway is used landings and takeoffs during the night and the north runway is closed.The airport is open to air traffic 24 hours a day, 7 days a week, however, only 2% of flights take off or land between 11pm and 6am. There are two terminals - Terminal 1 (the original that is on the east) and Terminal 2. Car rental companies are based at Terminal 2 although most of them have desks in Terminal 1 arrivals. There is a free and freequent shuttle bus service between the two terminals. Bus services go from the airport into Nice or westwards (Cannes direction). The rail network does not have a station at the airport and it is difficult to get from the nearest station to the airport. 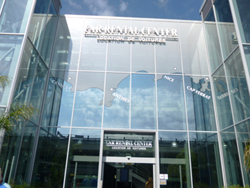 The Rail - SNCF regional train service operates from Gare Nice St Augustin, situated 500 metres from Terminal 1 and Gare St Laurent du Var, located 3km from the airport, serving routes from Cannes to Vintimille. 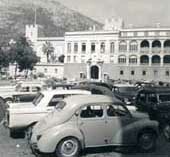 Nice is has been a popular city for years. It was popular with British Royalty (Queen Victoria was a regular visitor to the area (including Menton), and Winston Churchill enjoyed holidays in the area. 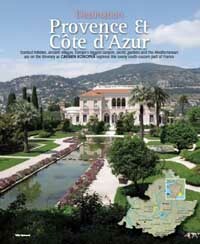 It has France’s no 2 airport and with the expansion of low cost air travel from within Europe is the gateway to the French Riviera. The city of Nice extends inland with its pedestrian area featuring luxury boutiques, Massena gardens with their fountains and the picturesque old town. Nice stretches the length of the Baie des Anges, lighting up the whole of the Riviera with its majesty. When you fly into Nice airport the views are superb by day or night. It is a magnificent city, the epitome of Riviera charm, a gentle way of life and luxury that has an exceptionally mild and sunny climate, blue sea and azure skies. 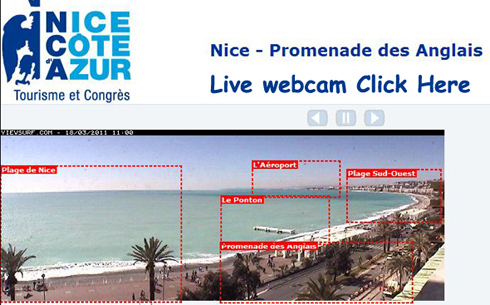 Nice is a thriving tourist city, sought after all year round by lovers of the French Riviera. The Promenade des Anglais is a world-famous attraction, which is the pride of the city of Nice. The Promenade des Anglais is synonymous with prestige and stylish living. Graced by majestic palm trees, hotels, Casinos and famous restaurants, a pedestrian area, long stretches of beaches, pergolas and sky blue chairs, the Promenade des Anglais is a prominent feature along the Baie des Anges and almost a microcosm in its own right! "A feast for the eyes, Nice - where Queen Victoria was amused, Matisse painted his Blue Nudes and Coco Chanel invented the suntan. It is marvelous to escape from dreary winter in northern European into its sharp light and balmy Mediterranean air: to wander round the harbour, through the flower market in the ornate Cours Saleya, or into the bar of the Hotel Negresco for a cocktail as exotic as the building itself. Home of one of the biggest summer jazz festivals, off-season Nice also offers cool sounds in many a late-night cafe-bar. In winter you are only 40 minutes drive from the Alpine ski slopes and another world and only a short drive from Monaco and Italy. Nice offers everything you could wish for in a holiday destination - history, spectacular scenery, architecture and a buzzing nightlife, not forgetting plenty of sun and sea. The 4000-year-old city has many historical sights to see. Visit the Old Town, which dates back to medieval times or La colline du chateau dating back to the eleventh century. The old town contains within its narrow alleyways, the expanses of its squares and the Cours Saleya over 250 restaurants, 200 boutiques and galleries. Other excellent places for sightseeing include the Basilique Notre-Dame - the largest church in Nice, built in 1864. Other sightseeing hotspots include La Cathedrale Saint-Reparate, built in the seventeenth century, and the 16th century L'Ancien Hotel de Ville, formerly Nice's town hall. Climb (or take the lift) up to the castle and enjoy panoramic views over the Baie des Anges and visit the two cemeteries lying side by side the Christian and neighbouring Jewish cemetery. Nice benefits from a superb climate. Thanks to sea breezes the climate is mild even in winter and never too hot in summer. 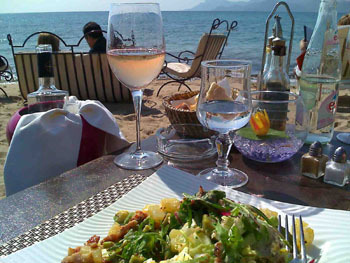 Inhabitants often have lunch in a T-shirt in the middle of February while the rest of France is shivering in the cold. Also known as the 'Bay of Arts', Nice has three theatres, an opera house, a symphony orchestra and many museums and art galleries. Visit the Musee et Site Archeologiques with its magnificent collections from the Bronze Age to the late middle ages. Be sure to explore the Bibliotheque du Chevalier de Cessole, with its many old books and manuscripts tracing the history of the city. 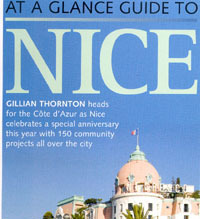 Nice has always held on to its independence and even has its own language. The people of Nice like to keep their individuality intact with their own folk-dancing troupes, street bands and craftwork. 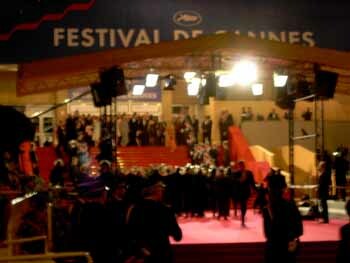 Theatre is also a very important part of the town's culture and The Opera de Nice is well worth a visit. If you enjoy strolling around the shops then you are in the right place; Nice offers excellent variety. Choose from small boutiques in the Old Town specialising in provencal fabrics, jewellery shops on Avenue de Verdun and Rue Paradis with its up-market shopping arcades, department stores and chic couturiers. There are also many markets, including the Marche a la Brocante - a flea market open all-year-round and the Marche aux Poissons - a fish market open every morning except Monday and the flower market a stones throw from the so close to the Promenade des Anglais. Nice is lively by day and even more lively by night. You are spoilt for choice when it comes to discos, nightclubs, casinos and restaurants. And you could, if you prefer, go to a karaoke club or one of the many cabaret clubs, which are equally delightful. You can even choose to do some late-night shopping, as there are many shops that stay open 24 hours a day. You can dine out in the old town in the area that is the flower market by day and is transformed into a magical dining area by night. In late July each year the Nice Jazz Festival is held in the Jardin & Arenés. 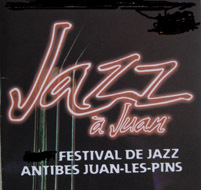 It normally starts just as the Jazz à Juan - Juan-les-Pins Jazz Festival is drawing to a close. From the time of the Second Empire to the roaring Twenties the famous Promenade des Anglais was the fashionable meeting place where luxury hotels and palaces flourished and high society strolled along the promenade in the warm Riviera sunshine enjoying the sea views. In 1929 Le Palais de la Mediterranee and the sumptuous decor of its lounges and Casino attracted a clientele of rich men and elegant women who enjoyed its magnificence and the pleasures of life. Princes, barons and other aristocrats enjoyed a heady lifestyle at the height of the Belle Époque. Nice is just as popular today and after a period of disuse Le Palais de la Mediterranee has been rebuilt and restored to its former glory - as beautiful and luxurious as before. The 1929 facade has already been restored and now visitors to Nice can enjoy the jewel of the Promenade des Anglais with its host of events, quality of life and magical atmosphere that reigned in the Palace so close to their hearts.